I have really really been wearing off the shoulder tops and dresses a ton lately. It is one of my favorite trends right now. This is one of my favorites that I have. I love the fringe and I love that it is white. It will go with so much. It is a little but on the expensive side but in my opinion it is worth the money. I will wear it so much and it is a really great quality. I also linked a few that I love (one of them I have) that are a little less expensive. Another trend that I am loving tight now is statement earrings. They are so fun and they can dress up a really casual outfit. Bauble bar seems to be my favorite place to find them. I hope you all are having a great week so far. Two posts up so far they week! I am on a roll. I am hoping to have one up on Friday as well. Three in one week will be record for me. This top is so gorgeous!! I love the hem! Always looking so gorgeous and stylish top to bottom! I like your top and statement earrings so much! I love that top! The lace is just beautiful. 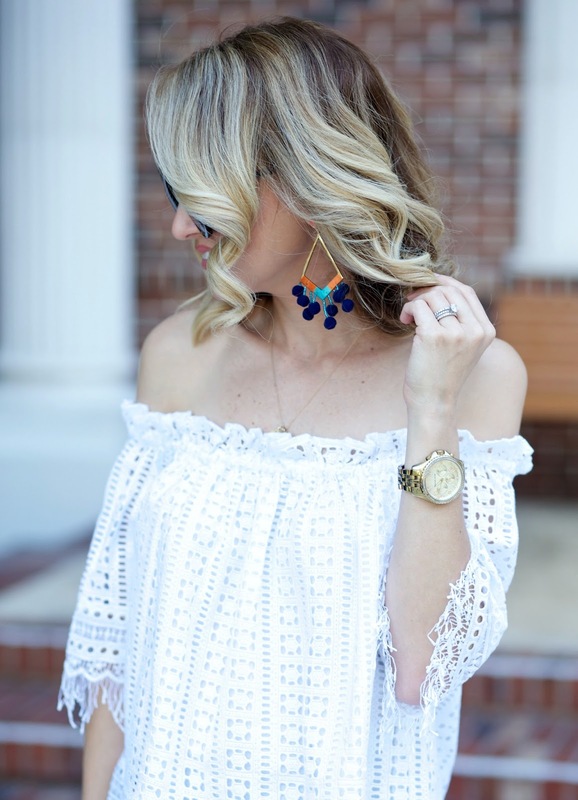 This off the shoulder top is so lovely! 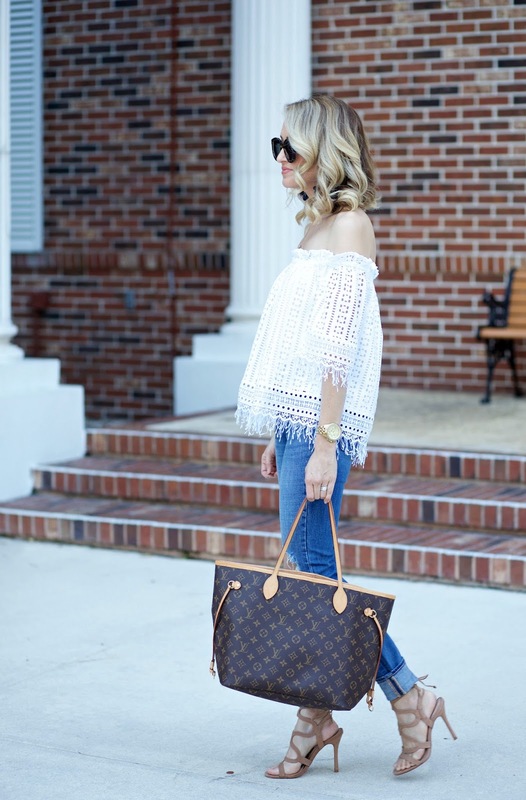 What size Neverfull do you have? Obsessing over this top, it's so cute! Beautiful outfits. I'm an off shoulder blouse fan too. You look so classy wearing them.